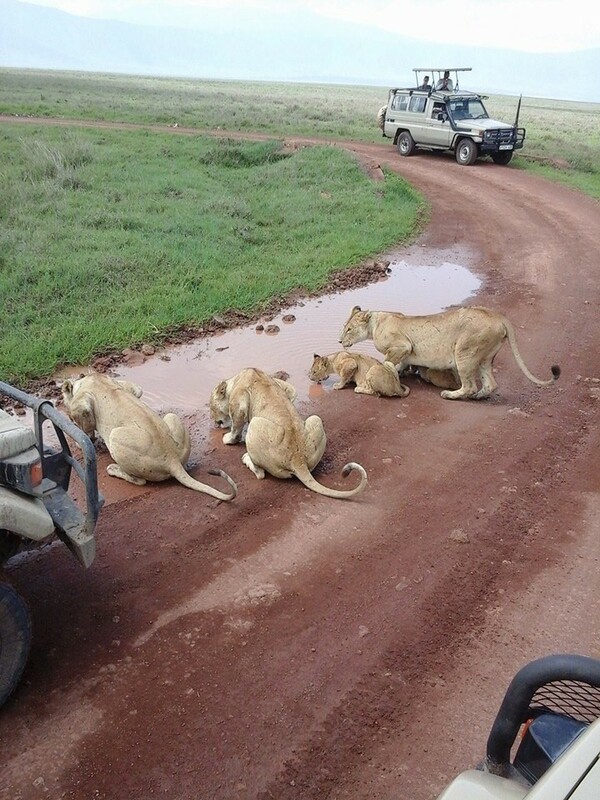 This day trip tour gives you the opportunity to visit the famous world famous Ngorongoro Crater, nicknamed the eighth wonder of the world. The Crater is a world's largest unbroken caldera which hosts varieties of animals includes the rare black Rhino. Once you have reached the Ngorongoro gate, located approximately 275km outside of Moshi, you will descend into the Crater for a 6 hour game drive. During this time you will break for lunch at Ngoitokok swamp, a Hippo pool. In this idyllic picnic spot, you get the opportunity to take in and picture the beautiful landscape that surrounds you. As well at the Black Rhino, the crater is home to Elephants, Zebras, Wildebeests, Buffalos and Impalas. The carnivores that inhabit the crater are Lions, Leopards, Cheetah, Hyena and other small cats. Other language speaking Drivers Guide of your request. Safari transport by 4 x 4 (6 seat) with a roof hatch that ‘pops up’ to enable easy viewing and photography. Group size is 4 participants on private.